My painting examines both the basic conditions of the image, its colour, its form, its composition and the location around the image. It goes beyond the usual visual quality of an image and includes the standpoint of the observer in its compositional considerations. I work with two-dimensional coloured modules that react to the space in a flexible way and create an association between art and architecture. 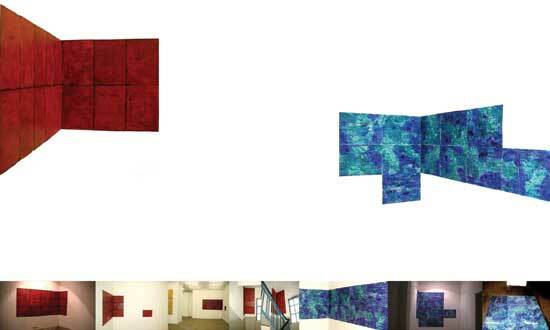 The gallery walls, light, and proportions interplay to create the ideal encounter between the artwork and the viewer.